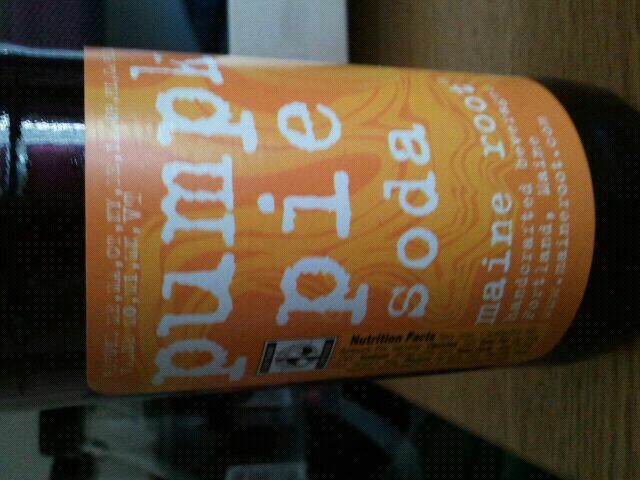 Pumpkin Pie Soda. Say whaaaaaat?! I saw this in Whole Foods, and KNEW I had to try it. Really? 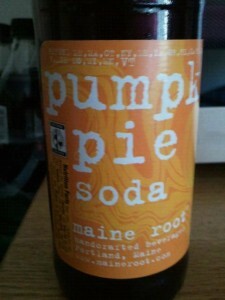 Pumpkin Pie soda? How can that even be?! It came in a 6 pack, or individual. I thought it would be best to try one, and then if I (hopefully!!) liked it, go back and buy the 6 pack of these sodas. I mean, how on earth could Pumpkin Pie Soda taste bad, given the fact I LOVE pumpkin, LOVE pumpkin pie, and well, not going to lie, soda is yummy too!! I opened up the top and poured some out. It certainly screamed pumpkin with the color, and it even smelled like pumpkin. We were headed off to a good start. Eagerly, I took a sip. In fact, it turned my stomach a bit. It was nasty. It really was not good at all. Upon first taste, ALL I tasted was sugar. It had this syrupy, sugary taste to it. Almost like a artificially flavored pumpkin lollipop would taste if it was melted down and carbonated. It had somewhat of a vanilla creme flavor too, but it was not good. BLECH. I only took two sips and poured the rest out. OVERALL, my first 1/2 star rating. 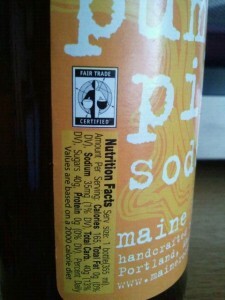 I would never buy or drink this again. And I’m really disappointed because I really wanted to like this!!!!! 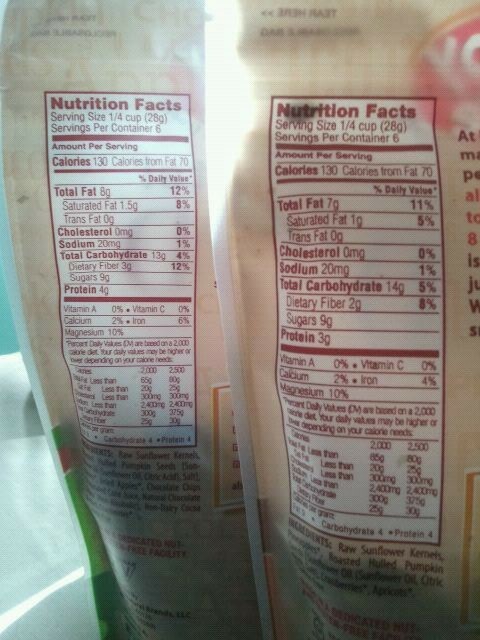 Here’s the nutritional facts, which also aren’t pretty. 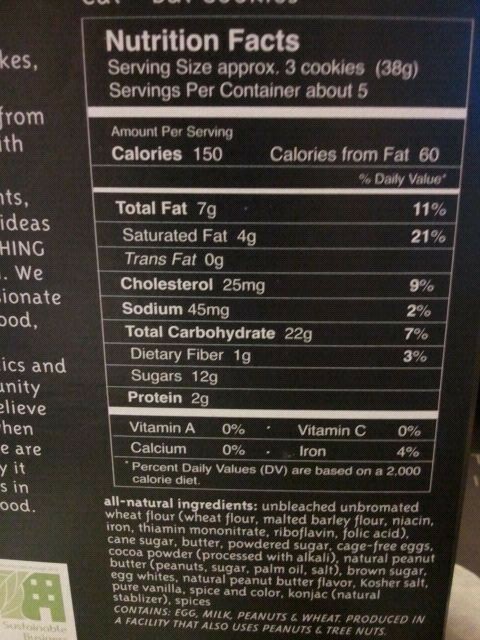 And no wonder it was so sweet, look at all that sugar!! WOO! Halloween is on the way. We all know what that means….CANDY. and lot’s of it! Now there’s only so much candy you can give away to your co-workers, your family and friends. And well, what’s Halloween without treating yourself to a delicious Reeses or Snickers bar (mini bar, that is!). Here are some tips I was emailed from Ms. Beppel, on behalf of SELF Magazine- one of my favorite mags! 1. Go to the Dark Side: A new study backs up the best excuse ever to eat a Milky Way Midnight: People who ate a little chocolate every day were 40 percent less likely to have a heart attack or stroke, according to the study in the European Heart Journal. Pick a piece of dark chocolate the size of a Hershey’s Kiss. 2. Scare Up a Daily Splurge: Fans of fruity candy, rejoice! It’s not all about chocolate anymore. People who eat confections of any kind have a lower body-mass index and a smaller waist than their candy-skipping pals, researchers at Louisiana State University find. Balancing healthy eating with the occasional treat is key. 3. Have a Ball: The corn in that sticky popcorn ball has fiber and antioxidants. Nuke 1/2 cup honey for 10 seconds; add 12 ounces semisweet chocolate chips. Pour over 6 cups popcorn mixed with 1 cup salted peanuts. Stir; form into balls; chill on wax paper until firm. 1. 4 Dove Dark Chocolate Promises = 168 calories. You get the benefit of dark chocolate’s antioxidant boost, plus inspiring motivational messages to get you in the mood to party. 2. 22 Tasty Brand Organic Fruit Snacks = 150 calories. Sweet and satisfying with no artificial colors, flavors or high fructose corn syrup. 3. 2 Dum Dums = 50 calories. You’ve been sucking on these gluten-free lollipops since you were a kid. Only decision? Cotton Candy vs. 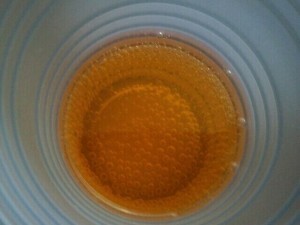 Cream Soda. 4. Halloween Trick Mix = 130 calories. DIY treats that you put together in your kitchen are almost always a better bet, because you can control the ingredients. Mix 1/4 cup of Peanut Butter Puffins cereal with 1 tablespoon mini chocolate chips and 2 tablespoons chopped dried apricots. Bundle them up into individual portion bags tied with black and orange ribbon, and you’ll win the prize for most creative (and healthiest) snack. Oh yea you know I FLIPPED out when I saw this. Well…I flipped out on the inside because I was in public and all, but on the inside I was screaming YES!!!!! THIS SOUNDS AWESOME!!!!! Not pumpkin popcorn (ooh, how good does that sound?) but this sounds like just the right thing to bring on the fall spirit. APPLE CRISP! Fall is always about apple picking and pumpkin picking for me (sadly, I have yet to do both this year….) but at least I can enjoy the delicious apple flavors in treats like this! So, I bought it for 3 dollars (at Whole Foods!) which I thought was reasonably priced. And yes…that IS a sandwich sized bag. But whatever. 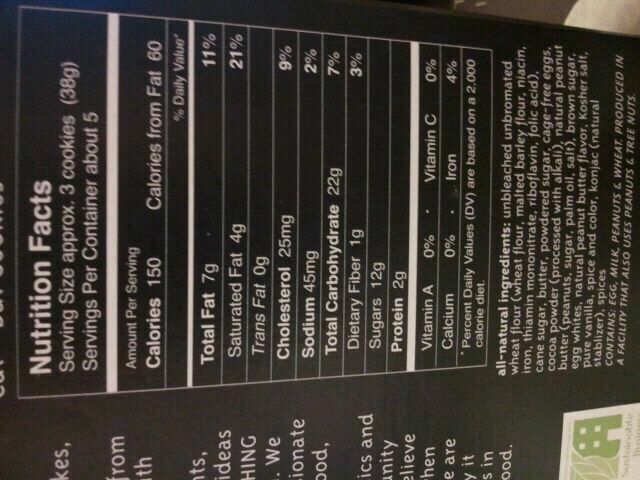 I always eat more than a serving anyway, even though a serving for this is really quite pathetic. ANYWAY- I looked through the bag. 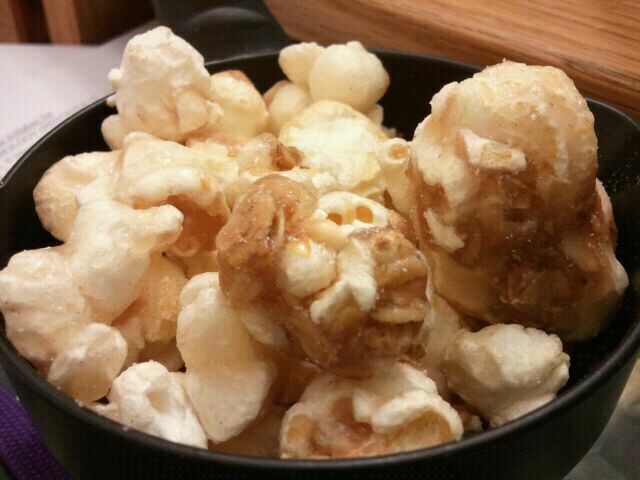 HUGE pieces of popcorn, round and fluffy, along with some pieces being help together by a sticky, sugary syrup. I didn’t mind a bit as it was quite tasty, but there were about 3 HUGE “globs” of this popcorn/syrup mess. 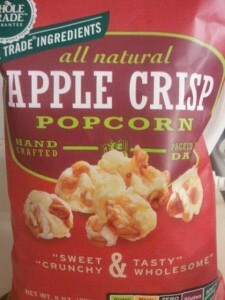 I also spotted some oats on the pieces of popcorn, which I guess contributes to the “apple crisp” part. 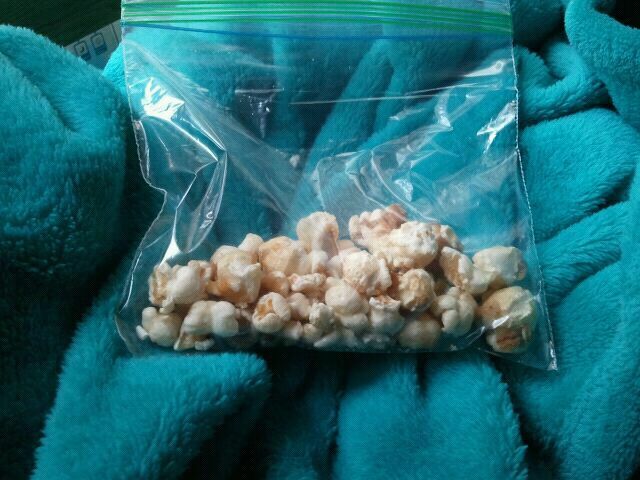 This popcorn was just really not what I expected. But I can’t say I hated it. Upon first bite? I was puzzled. What does this taste like? I’ve had this before. I DEFINITELY ate this before!! And then.. This tastes EXACTLY like Quaker Apple Cinnamon Rice Cakes! And let me just say, as a kid, I was obsessed with that very flavor of rice cakes. Although, dont get me wrong, the popcorn was way sweeter. But the flavor was exactly the same. Overall, I liked this snack. And that’s exactly what I would call it. It wasn’t popcorn to me- no annoying hulls or tiny pieces with popcorn kernels. Just round, fluffy and crunchy pieces with a sugary, apple cinnamon flavored syrup. It was an apple snack to me. 4 stars for this one, only because it’s super high in sugar (TWENTY grams!! 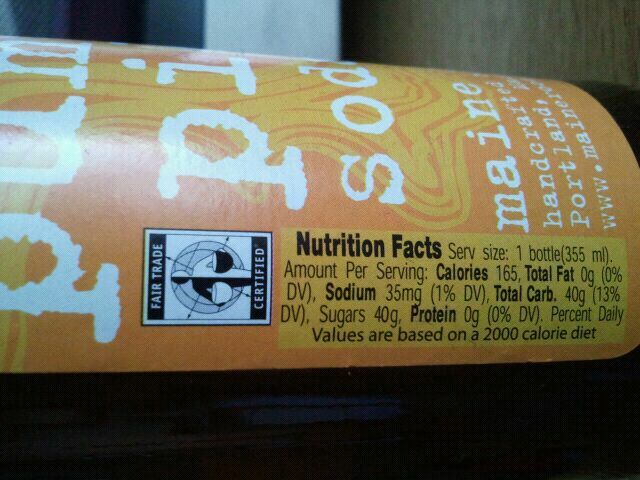 ), and since the portion size is small, I’d be eating at least double. *What’s your favorite FALL dessert? I am obsessed with Candy apples. mmmm! I hope everyone knows how much I love Whole Foods. Super awesome finds, and their prepared food is SO GOOD. Seriously- if you haven’t tried their prepared pot pies or anything from the hot bar, I highly recommend it. Everything’s so tasty!! 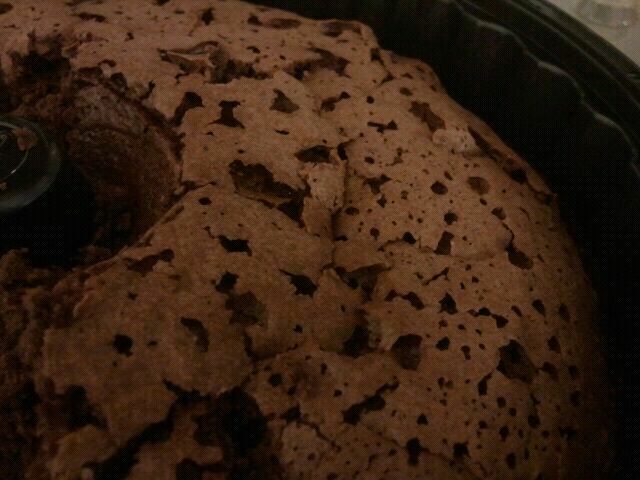 So, shopping around I spotted a chocolate angel food cake. It was only 5 dollars for the whole cake, so I figured I could stretch it out over 4 days which is pretty reasonable for the price. I bought it and took it home, and could not WAIT to try it. I have a special spot in my heart for angel food cake. I feel most people either love it, or loathe it. I am definitely a lover. I love the soft, fluffy aspect of it, and how it goes just perfectly with a smidge of vanilla frosting on top. mmm. So, after eating this all I could think was….this is a Whole Foods fail. It really was not good at all. I was SO upset, that not only did I waste 5 dollars but I could not eat what should have been a delicious chocolate angel food cake!! First off, it should have been called a cocoa angel food cake, because it had way more of a cocoa flavor than a deep chocolate. It was very dense, and even as I picked the cake up I noticed it was kind of heavy. Not like “hey, this is as heavy as the dumbbells I use at the gym” heavy but more heavy than a cake should be in my opinion. Another turn off, it was SO DRY. I felt like I wanted, no NEEDED a glass of milk to eat this. The combination of a cocoa flavored dry cake that was mildly sweet made a liquid to drink a necessity. I had intentions of putting peanut butter on it [ obviously ; ) ] but that was out of the question. Way too dry for that. Giving it another chance, I took another piece and tried to eat it. Blech. It tasted like burnt sugar and cocoa. Angel Food Cake- are you a fan? Or no? Strawberry angel food cake is really good too! Tis the season (can I say that if it’s not Christmas time??) for pumpkin flavored items. You’ve seen them all over for sure. Pumpkin muffins, pumpkin bread, pumpkin drinks….and a new one for me. 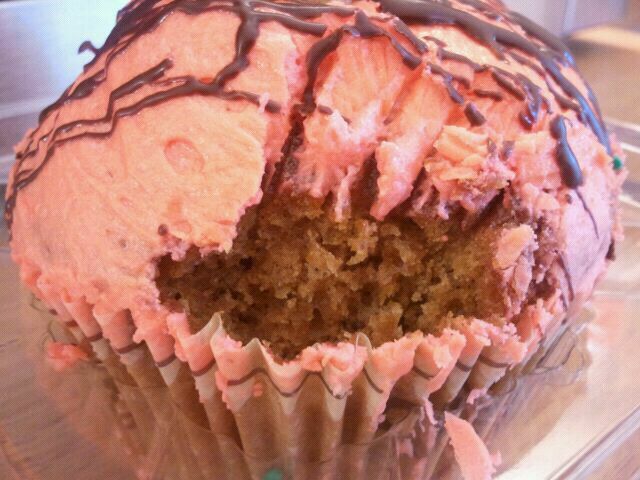 The Pumpkin Cupcake by Crumbs Bake Shop. Well, obvously not. Because I bought it, and I ate it. But did I like it? I was hopeful. The first bite was awesome. I thought I was REALLY going to like this. But then I kept eating it, and with each bite lost a little bit of hope in my little pumpkin friend. For starters, this was such a soft cupcake. A friend of mine who tried this as well said it was like a pumpkin muffin and I agreed. There was certainly a delicious pumpkin flavor, and it had raisins in it as well. The raisins were so unexpected. Id just be eating and then get this soft chewy thing…OH a raisin! I could taste a bit of cinnamon/nutmeg too, which I really liked. The cupcake as a whole was pretty sweet, and I tasted some ORANGE ZEST in it as well. It was a tad on the dry side, and I felt like I really needed a glass of milk to go with it! The single walnut on top was crunchy, and more for decoration purposes than taste for me, as it was just ok tasting. Nothing special. The frosting, even though the orange freaked me out a bit just thinking of how much food coloring was in it, was super soft and creamy. It was almost like a whipped frosting. BUT…..I did NOT really like the frosting. It had too much of a buttery/ tangy cream cheese flavor that I really did not enjoy. The first bite was good, then as I continued to eat it, I tasted more of the tang. 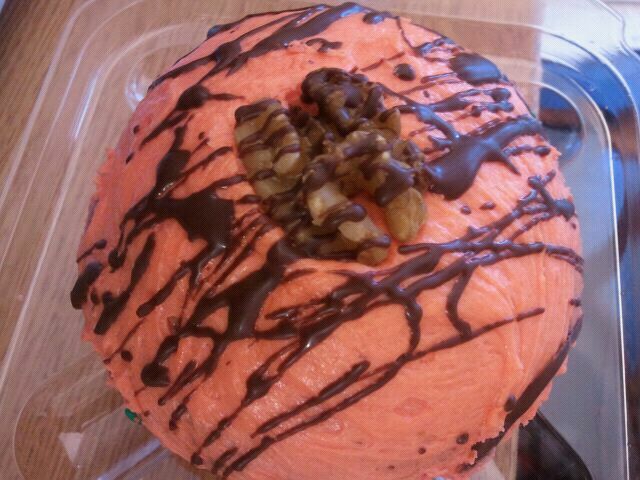 It was really offputting for me and I felt like it did not mesh well with the pumpkin flavors/cake part. I did, however, like the chocolate drizzle on top of the frosting. It added a little bit of a treat! Overall, it was ok. The icing turned me off too much. Too buttery tasting! I probably wont buy it again. 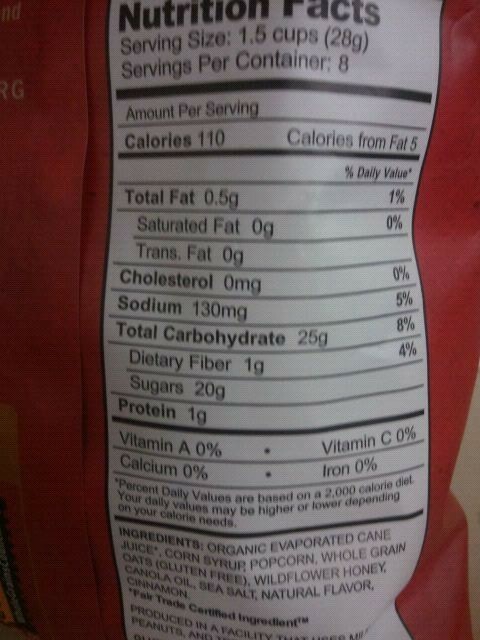 And I’m kind of upset, I could have totally used those calories elsewhere. Oh well. Who doesn’t love trail mix? 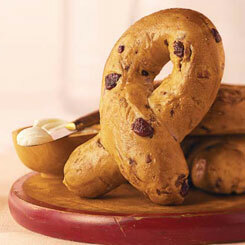 Crunchy, sweet, salty, savory, and satisfying- all in one! 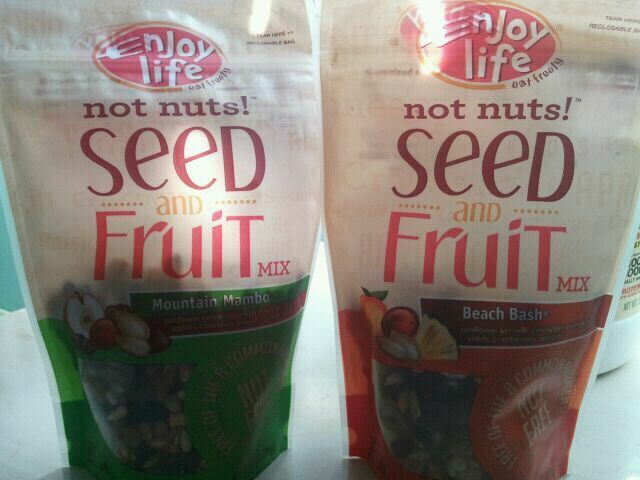 I was pleasantly surprised when I saw a box on my front step from Enjoy Life, and inside was their Not Nuts! Seed and Fruit Mix in Mountain Mambo and Beach Bash varieties. Alrighty, let’s get down to business. The first one I tried was the Mountain Mambo. 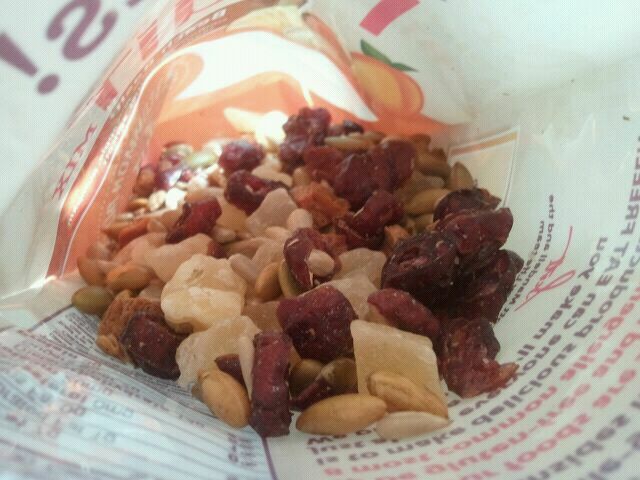 It had apple pieces, raisins, sunflower seeds, pumpkin seeds and more. The apple pieces were so yummy! Soft and chewy, and perfect addition. The raisins were a little off tasting. Not super sweet like I’m used to, and I was a bit disappointed. Especially since in the bag, there was a LOT of raisins. 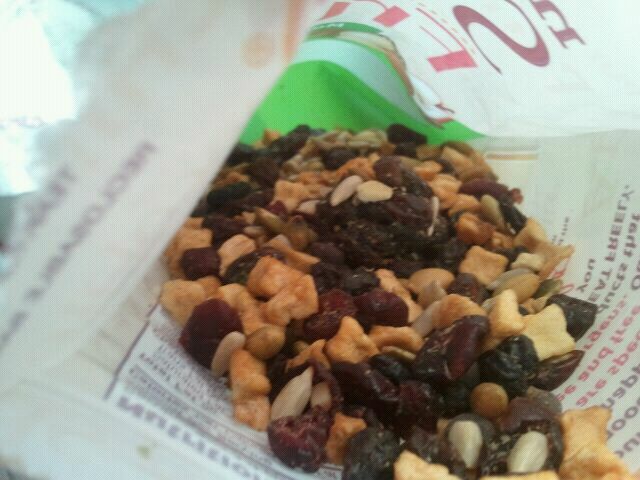 Seriously- I got a big blob of raisins right in the middle all stuck together! These were yummy! Smooth chocolate, and tasted like a milk chocolate would. Another surprise was I found VERY few cranberries. Only got like 2 in the bag ! However, the two or so I got were quite tasty, and not too tart. So for this variety…. Next up, the winner in my eyes, BEACH BASH variety. Seriously, in a word,- yum. There were sunflower seeds, pumpkin, apricots, pineapple, cranberries and more. On a brighter side, there were definitely more cranberries in this one and yummy too! Sweet, not tart and chewy! Overall, yummy! 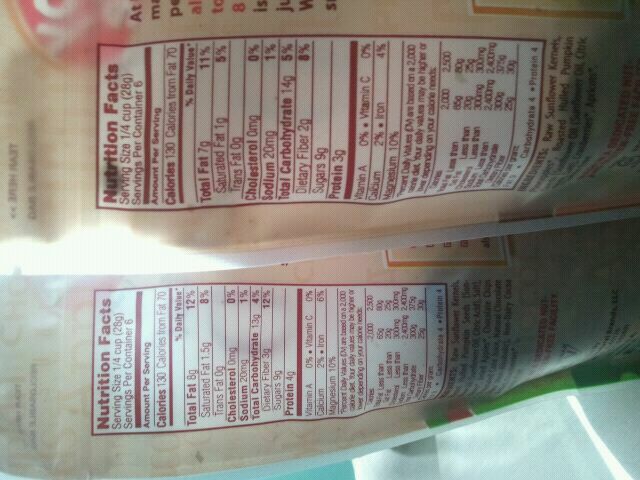 Both are NUT FREE, wheat free, dairy free, egg free, soy free, peanut free! And yum-my! I like beach bash better. I would totally buy it! What would you put in your ideal trail mix? Mine would be dried pineapple pieces from above, glazed pecans, cashews, reeses pieces, and pretzels! YES! Halloween is almost here! Time to hand out candy to kids dressed up in ah-dorable costumes, and get props as one of the best houses that hands out candy. We go all out. Reeses Peanut Butter Cups, Butterfingers, Snickers….you know the good stuff. And not the mini barely more than a bite size- the bigger pieces! Ever since I was little we always handed out “good” candy. And we give a LOT of candy per person. One might call this egg/shaving cream insurance. As in, we hand out yummy candy, so our house doesn’t get egged or shaving cream all over it. It hasn’t failed us yet! Although I still think we should hand out an apple or two and promote some health. Just kidding. I want all the apples for myself. HAHA. 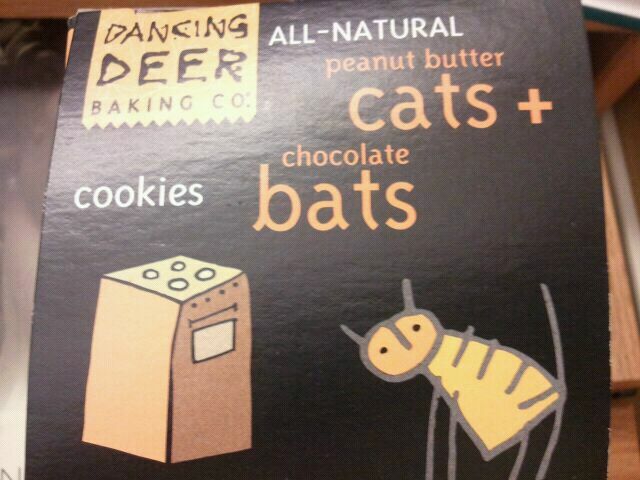 Anyway- At Whole Foods the other day I spotted Dancing Deer Baking Co. Peanut Butter Cats and Chocolate Bats cookies. HOW CUTE!!! I thought. And despite the $6.99 price tag (my wallet is still mad at me for that), I bought them. I tried the peanut butter one first. Obviously. You know my obsession. It was crunchy but thick, and mildly sweet. But…it tasted like a shortbread cookie, with mild peanut butter flavor. Really. A friend of mine tried one and confirmed the very mild peanut butter flavor, which was rather disappointing to me. I felt like I had to smear some peanut butter on it to give it peanut butter flavor! It definitely made me crave a glass of milk, however, as it was a “dry” cookie. Next up, the chocolate. This one I liked better than the peanut butter cookie. It was sweet but not too sweet, and almost had a dark chocolate brownie flavor to it. It was pretty yummy! I think it would go great with milk or…a smear of peanut butter. But what DOESN’T taste good with peanut butter, really? 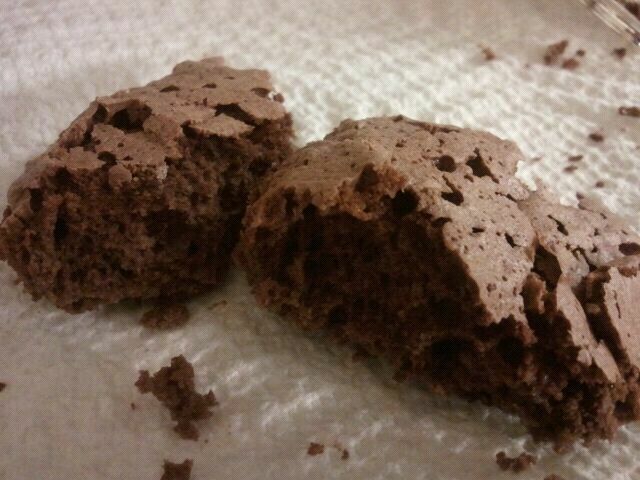 Obviously, the chocolate ones were better, as they were sweeter and more flavorful. Perhaps I’m slightly biased. I dont like cats. 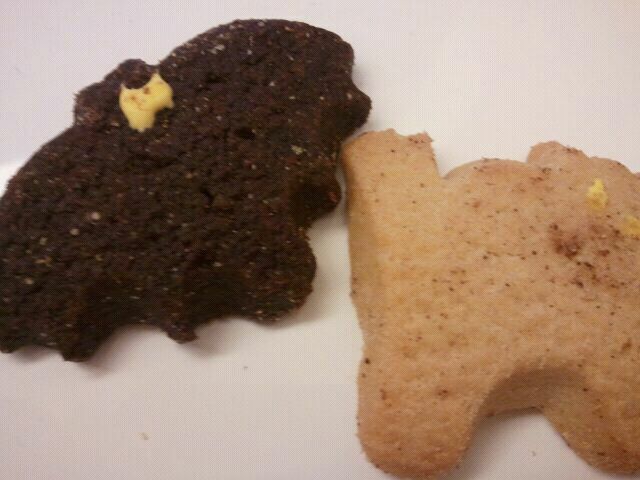 Maybe if they made the cats chocolate and the bats peanut butter I would have liked the peanut butter cookies better? …. What candy do you hand out/like getting the most on Halloween? Reeses PB Cups for me!!! I’m a summer girl at heart, but I do love fall. A time of pumpkin and apple picking (love me some candy apples!! ), bringing back the UGG boots (woo!! ), and….Pumpkin Spice Frozen Yogurt at Red Mango. It came back to the establishment a few days ago, and while schedule conflicts KEPT PREVENTING ME from getting there, I finally did. And so glad I did too! I got a small Pumpkin Spice, with graham cracker topping and mango pieces as well. I believe it was around the higher side of 4 dollars. The pumpkin spice yogurt itelf is amazing. It was smooth in consistency, and thick but not thick like greek yogurt. It was sweet but not too sweet, and just the right amount of tartness. Enough so you can taste it, but not enough to make you scrunch your face up saying that’s TART! So, a good balance in my eyes. There was a mild yet yummy pumpkin flavor. The graham cracker topping was finely chopped, and even resembled sawdust (although, THAT’S not a recommended fro yo topping!! ; ) ) . It added a pumpkin pie kind of feel to the yogurt, and had a slight honey flavor, which I really enjoyed. Lastly, the mango chunks were perfect! Sweet and very soft, and not tart at all! A few times I have gotten frozen yogurt, the mango chunks were very firm and very tart. Yes…I am guilty of going in the dead winter when it is practically 0 degrees outside, so I’ve had my fair share of exposure to toppings and flavors- I think it’s safe to say these mango chunks were very delicious, and perfect on the frozen yogurt.